Australian online store Kogan is facing a customer backlash after it admitted orders for Apple's new iPhone 5 would be delayed by more than four weeks. Kogan claimed earlier this month it would be the "first retailer in the world" to sell the Apple iPhone 5. The company began taking iPhone 5 orders on Friday 14 September and initially advised customers that the first orders would begin to ship on Friday 21 September. However, Kogan customers who pre-ordered the iPhone 5 through the online store were recently advised that the expected dispatch date has been changed to Monday 22 October. According to a post on the Kogan blog, the company is citing "global supply delays" as a reason for the hold up. "We're very sorry for the delay. This is due to global supply issues, as with all Apple iPhone 5 orders around the world (including direct from Apple)," reads a comment on the blog by a Kogan employee. "We did state clearly on the order page that this was a preorder for an expected dispatch date which was subject to change. We are working very hard to fulfil all orders on a first come, first serve basis." PC World Australia contacted Kogan to clarify the stock issue. The company says it is not isolated in dealing with the issue of iPhone 5 stock shortages. "While the situation is unfortunate, Kogan has not been isolated in dealing with this issue," said a Kogan spokesperson. "Even the Apple Store now has a '3-4 week' delay listed on their website." In addition to the shipping delay, Kogan has also increased the price of iPhone 5 models by $50 each since it first advertised the iPhone 5. It now lists the 16GB, 32GB and 64GB iPhone 5 variants for $749, $849 and $999, respectively. Kogan says the price "is subject to change in line with the best deal we can obtain for our customers." A screenshot from the Kogan Web site, detailing the "expected" dispatch date of 22 October. "Please note Apple products may be subject to strong demand on launch, and availability of stock may be scarce or delayed," reads a notice on Kogan's iPhone 5 purchase page. "The 'expected dispatch date" is not a guarantee, and may be delayed (or brought forward) without notice." "If you are able to get it [the iPhone 5] sooner elsewhere, you are welcome to refund your order with Kogan immediately and we will still give you the voucher you can use on other goods," reads a comment by a Kogan employee on the store's blog. 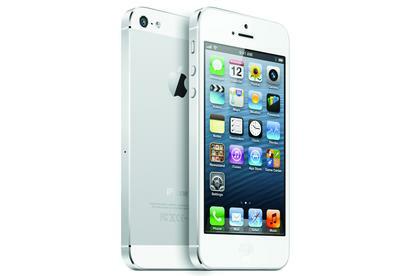 The iPhone 5 listed for sale on Kogan is model A1429, which is a global GSM variant of the iPhone. This is the same model that Apple sells in Australia, though Kogan's model is a grey import device sourced from Hong Kong. A grey import tech product is one that is imported from another country without the permission of the intellectual property owner, in this case Apple. This can be achieved by an Australian business that buys the product overseas and then sells it online, or simply an International business that will ship the product to Australia. Did you purchase an iPhone 5 from Kogan? What are your thoughts about the delay? Let us know in the comments below!